Passport translation is, of course, the preliminary and most important aspect of an immigration application. Passports are to be submitted in the earliest part of the immigration process and are considered international identities of a person. They are issued by the government as the identification of its citizens and are the first identification a person will have for travel. 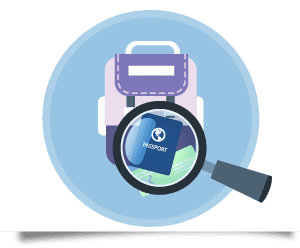 What makes certified passport translation so important? A certified passport translation will have to pass the toughest scrutiny of the immigration office. The translation of passport is a fairly simple process as the passports are too many times written either completely or partially in English and the translation will only be an easy and simple translation of small portions that will need to be translated in order to make the passport ready for the immigration office. What is the important thing that one should keep in mind while getting the passports translated? Credibility – that is the first thing that you have to ensure when you are getting your passports translated for the immigration office. The immigration office has strict guidelines for passport translators and the qualifications that they need in order to be eligible to conduct certified passport translation. We are a member of the ATA. We make sure that all of our translations are done according to the requirements so that your translation will not have any credibility issues. Even more, we guarantee acceptance at the office it was intended for. We translate from more than 120 languages! You do not live in the US and do not have access to a translator who can translate your passport for immigration? Here we are to translate your documents from any language into English. We provide authentic translations! Our certificates of authenticity are carefully designed to clear the USCIS specifications. You will never get a RFE from the immigration office for our translations, it’s a guarantee. 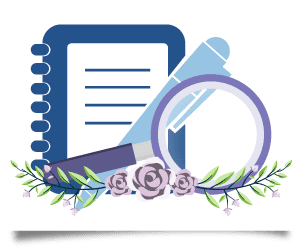 Calculate your certified or notarized translation cost now! How do we ensure the credibility of the translator? The authenticity and qualifications of the translator can be ensured by making sure that he fulfills a couple of requirements that USCIS has established for the translators who conduct translations that are submitted to their offices, like the translation of passport. ATA – The American Translator’s Association has placed strict guidelines for the translators who apply for a certification by the Association. The translator has to pass an exam that tests their knowledge and translation potential between the two languages that the applicant wants to become a certified translator. ATA is the accreditation institution for the translators who work in the United States. Even if you do not live in the United States, the translator who translates your documents for immigration to the United States has to be certified by the ATA, or the translation agency needs to be a member of the ATA. While translators who are not members of the ATA are eligible to conduct translations that are submitted to the USCIS, it is recommended that they have some qualifications. Native speakers – the translator who is translating the passport for USCIS has to be a native speaker of the language that he is translating the content from. This is a requirement and has to be followed. As stated before, we are a translation agency which is members of the ATA and we are entitled to translate from any language into English. All our translations have been accepted by the USCIS or the UK Immigration Office, no matter what the language of the original document, including Chinese, Arabic, Tamil, French, Russian, Hindi, or the Nordic languages. 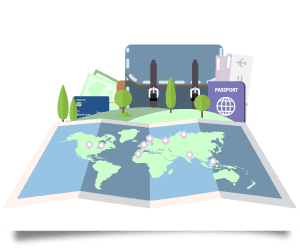 Why Certified Translation of Passport? All the documents that are submitted to the the immigration office have to come with certified translation attached to the documents. A translation becomes certified if the translator has provided the applicant with a Certificate of Authenticity that will say that the translator takes full responsibility for the contents of the translation. He is also saying that all the translation is completely accurate. Now he also states all of his details and his credentials as well as the credentials of his translation agency. If a translator provides us with a translation but is not ATA certified, would that be a problem? No! The certification from the ATA is not needed, yet we are ATA members anyways. If you take the freelance route, you have to use a professional translator and make sure that they are providing authentic credentials. If you use NordicTrans, we will provide a certified passport translation which is guaranteed to be accepted by any immigration office. Why so many regulations? Because the translation is the bridge of authenticity between the applicant and the immigration department. The department cannot take the translation that you have conducted yourself because you have a serious and a vested interest in providing a translation that is not accurate if it improves your case. So, they want to make sure that the contents of the translation are above reproach and can be trusted one hundred percent. This becomes much easier if the translator takes full responsibility for the contents of the translation and is also a credible translator himself. The passport relates an individual to a certain state. It is an authorized document which allows the individual to travel to different countries carrying the sole representation of his native land. It is an extremely important document and is required at the time of immigration which is why it is vital that the language of the native land be converted into English for the people in the offices to recognize the main parts of a certified passport. It is therefore important that the certified translation of passport to be as accurate as humanly possible to ensure its approval by the immigration office. A computer might translate your passport into English, but can it be accurate? That is why human translators and proofreaders are needed, who are not just natives of the target language but are also aware of the requirements. We assign native linguists to do the translation who are experienced in their field and have command over the requirements that are common in immigration offices. We do our best to offer you a service that is satisfying and professional such that it meets the needs and wishes of our respective clients. You should use our services because the certified passport translation that you will submit to the immigration office will need to be up to the mark. You will need to make sure that the translation will clear the immigration process. 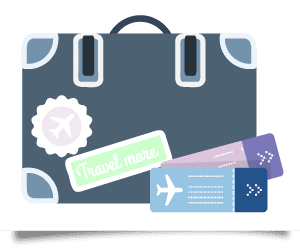 Here are the reasons; we are experts of certified translations and we are here to make sure that you get the best translation of passport online or by visiting our offices.